Open Nepal is a coalition of Nepali organisations, currently including Freedom Forum, Young Innovations and NGO Federation of Nepal. DI supports and works with Open Nepal as part of our wider involvement with three national open development initiatives in Nepal, Kenya and Uganda. 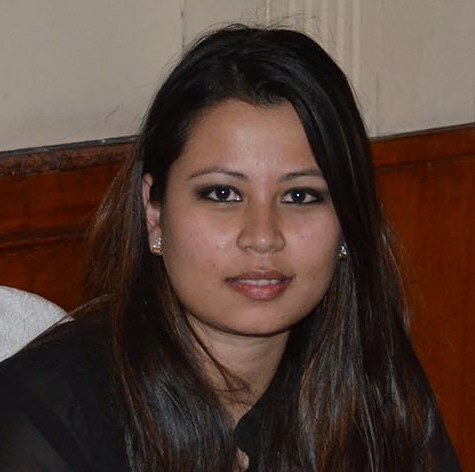 This is a guest post by Pavitra Rana, Coordinator of Open Nepal. Open Nepal was launched in 2012 as a coalition of organisations working together to build an open data ecosystem in Nepal. At our launch, hundreds of people gathered to find out about our open movement through a series of workshops and events. We come from different backgrounds: techies, journalists, CSOs, parliamentarians, social development workers. But we share a common goal: building more openness and transparency around data on public services, budgets, and development finance, to encourage accountability and social change. 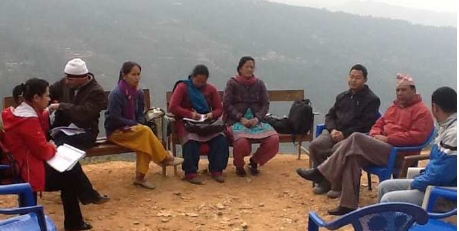 We worked with these potential users of open data to learn how Open Nepal can support them. We asked what data they want, and what skills they need in order to access and use this data. This blog will share what we’ve learned so far, and talk about what Open Nepal will be doing to help. A lot of Nepali journalists we spoke to feel challenged by a lack of experience in using data; and the time it takes to find it, to write investigative pieces which use data. They need help and support to do this. NGOs and civil society groups also cited capacity challenges with the access and use of data, plus language barriers, and limited internet access. Traceability of data. In Nepal, where a significant percentage of the budget is comprised of official development assistance (ODA), finding information on what is funded by aid is a priority for many stakeholders, especially journalists. However, it’s difficult to trace ODA through INGOs. When donors and INGOs don’t report their data in common formats, it becomes difficult to track resources down to the district or community level. INGOs and NGOs publishing their data to IATI could have a significant impact on the amount of data available. NGO and community stakeholders say they don’t use data, because they can’t get the updated statistics and data they would want to use for their work (such as writing advocacy reports or funding applications). Parliamentary support staff: information and data for this group is needed quickly, at short notice and on a wide variety of subjects in response to events. They often have trouble finding the most recent data quickly; this generally requires in-house technical expertise to pull information from other ministries, and they cannot use external sources of data (eg. internet) in place of government data. Their challenges range from difficulties using complex datasets, to how to find the data itself. Nepali ‘techies’ usually find that the data which they need to use is either not available or not available in a useful format (often PDFs). Information in Unicode incompatible fonts make it even more difficult to translate the local language (Nepali) into other languages such as English. From our own point of view, we have found one challenge is the big ‘communication gap’ between the ‘techies’, and the data providers (government agencies, INGOs, NGOs/civil society organizations). 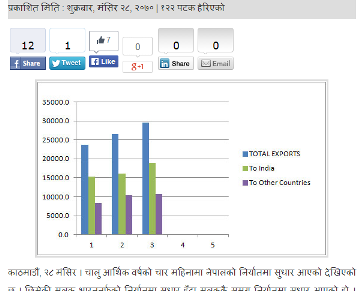 This gap must be bridged to solve this problem, and this is a key reason why Open Nepal exists. How will Open Nepal help? Make more data available and accessible through the Open Nepal Data Portal, and through working with donors and NGOs to support publishing in an open format (IATI). To encourage other NGOs to publish their information to the IATI standard. All the organisations in Open Nepal have published their own data to IATI: you can view our data on the registry here. We also need to work further to understand certain concerns Nepali NGOs have about publishing their own data, and encourage open and honest debate about this. Supporting key groups to use data. As well as setting up a data helpdesk in 2014 to support our data users with the one-off challenges they encounter, we have begun running capacity development workshops in Nepal. The main focus of these is hands-on skills (like using Excel to create graphs) and on finding and understanding data. One of the journalists we trained recently used his new-found skills to write an online news article, just a day after the training. He says it’s the first time that he has used graphs to illustrate meaning in one of his stories. In 2014 we’ll be running more workshops, as well as facilitating and engaging to encourage communications between the users of data and data providers. We’re also aiming to run more community events where the ‘techies’, data providers, and other data users can interact and build partnerships to work together. Lastly, we’re working on case studies exploring particular sectors or issues, using data, that will help inform the movement so we can understand the needs of our stakeholders further. We (and DI) will be working to share lessons more broadly from what we learn at Open Nepal, what works and what doesn’t, so that others can benefit from our experiences too. You can follow our work on the Open Nepal blog and via our newsletter here: www.opennepal.net or by contacting me at pavitra.rana@opennepal.net .